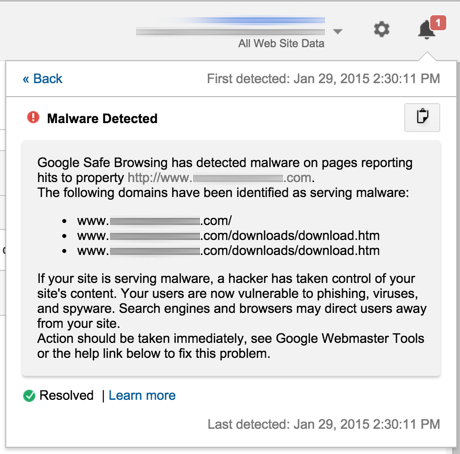 Google Analytics users will now get notified once their website gets hacked. Similarly, website owners too receive malicious software alerts via Google Webmasters Tools, Google Analytics users will now get automatic notifications which will let them get notified whenever any malicious software has been identified on their site. Apart from addition of new Google Analytics malware notification, Google has also improved upon its safe browsing efforts. According to a post on “Google Online Security”, chrome users will be warned if they see any site having antagonistic software. In addition to it, Google has also incorporated new signals to brand false websites, and is deactivating Google ads that causes websites to get hacked.